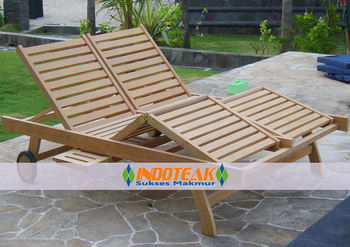 We are an Exporter and Manufacturer of teak garden furniture and teak colonial antique furniture base in Jepara, Indonesia. We offer our products of teak garden furniture and teak colonial antique furniture with the highest quality at a very reasonable in price. Our products are benches, chairs, tables, pillow/ cushion, steamer, lounger, adi roundack, shower stool furniture, hotel furniture project, slidding table teak stainless, aluminium teak furniture, patio furniture sets, outdoor teak lounges, etc. Our products is made from teak wood High quality and used solid brass for accessories. We hope you will interested and will take of the advantage of this exceptional offer. We waiting for your response and hope we have a good business relation with your company.